Retractable Awning - Curtains/Blinds/Shutters based in Cricklade, Wiltshire. 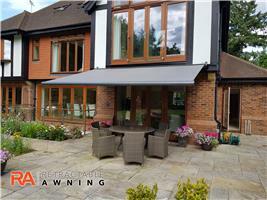 Retractable Awnings, We specialise in all types of awnings, Domestic Awnings and commercial Awnings. All our Awnings are handcrafted, No Job is to small or to big. London, Wiltshire. Bristol, Hampshire, Buckinghamshire, We also offer services to the whole of uk.